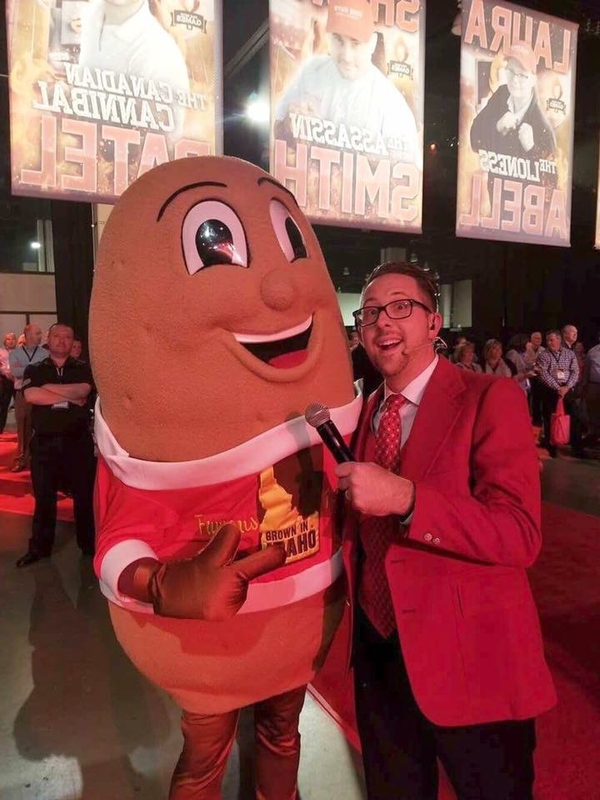 The Five Guys convention was a way to bring many of the different franchisees together so that they could each share their own experiences. It is really a great team and it was an honor for the #TaterTeam to get to witness it as guests. 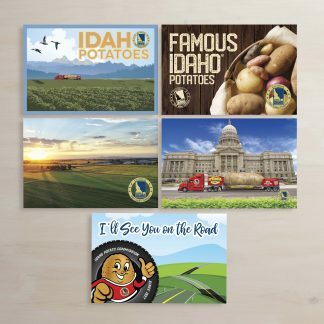 We were there with Rick Miles Produce, who provide the Idaho Potatoes for Five Guys here in the States and purportedly in a few Canadian Provinces. Rick Miles Produce also supplies the Onions, but no need to cry…they’re uncut. Along with Rick and his team, the #TaterTwins #andLarry were treated to dinner, dancing, and a few breakfasts. The Gaylord resort was a really nice venue for just such goings on. The #TaterTeam spent the bulk of their time wandering around and mixing with the other parts of the Five Guys Convention. Spuddy Buddy even made an appearance or two. The Five Guys Convention wasn’t only for the Franchise owners however, it was also for the more than forty thousand employees who all had a chance to compete for the Five Guys Games. Spuddy Buddy with Five Guys games host. The Games officially began on November 1st, 2016 at the store level, with employees competing against each other in four different races. 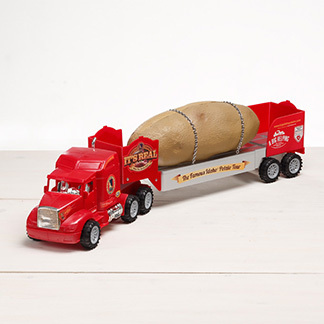 The Potato Race, which is the cutting of the Idaho Potatoes into fresh cut Idaho French Fries is the first event. The second event is the cheese stack race, where the cheese is stacked in preparation for placement upon the hamburgers. 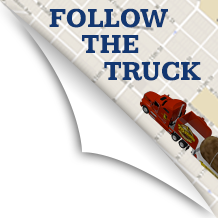 Third in the event list is the Meat Ball Race, where the hamburger is broken down into twenty balls of equal size meatballs. Fourth and the final scored at this level, is the Patty Smasher Race. Being as fun as it sounds, the Patty Smasher Race is where the employees race to “smash” those afore mentioned meatballs into patties ready for the grill. Each event is exciting, each in it’s own way, but seeing someone cut a fifty pound bag of Idaho potatoes into ready fresh cut Idaho French fries is pretty neat. I don’t think I could contend with their winning times…not without losing a finger or two. Once contestants move up to the final rounds of competition, another race is added. It’s called the QC Wrapping Race and is only scored at Regional level and higher. This is where those cheese slices meet the meat and are wrapped up for the grill. The final eight culinary maestros got a chance here to compete for a grand prize of fifty thousand dollars. Second prize was twenty five thousand and third prize was still impressive at fifteen thousand. Those top three really earned our hearts too, as we watched on baited breath as they went through each leg of the competition. They weren’t without skill, even if they didn’t walk home with either of those top prizes. Everyone who competed had impressive speed and skill. I couldn’t imagine having to work the shift after any one of them and having the boss wondering why they got so many burgers out and I was still, after an eight hour shift, working on my first. I’m sure I’d be up to two per shift after a bit of practice but I could never hope to match their speed. The winner and top dawg, the 2017 Five Guys Games Champion was Laura “The Lioness” Abell. Her total time for all five events on that final round was an impressive 4:40.95. That’s four minutes and forty one seconds to finish what would easily take me the whole day to do. 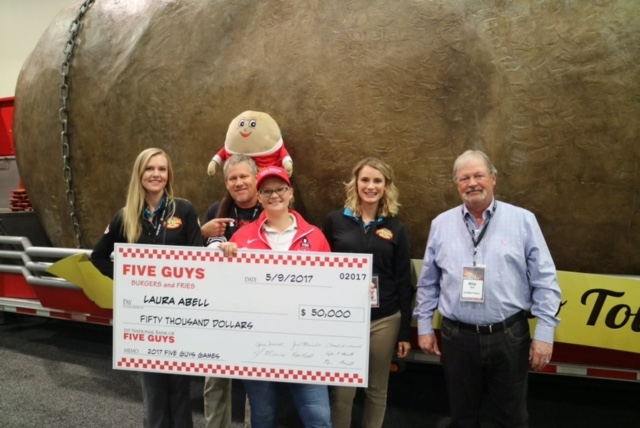 The Tater Team with Laura Abell, the 1st place Five Guys Games winner, and Rick Miles, from Rick Miles Produce Inc.
With the Five Guys Awards Ceremony finishing up the Event, we found ourselves up against another roadblock. This time we couldn’t get past it in time because our convention was at the back half of the Maryland Ballroom and another convention was at the front. It just so happened that our ramp was there too. We would have to wait another day before we could leave. The #TaterTwins spent another day exploring D.C. while #andLarry went to a doctor to finish up some paperwork hassle that had been on his plate for awhile. It seems that Truck Drivers as a whole, have to pass physical examinations every so often or they aren’t allowed to drive. My time was up and my physical was due. Once I had that done I met with Travis Blacker, who had also come out to the Five Guys Convention. Travis assured me that I was the greatest and that if he could, he would appoint me leader of the free world. (Well, maybe he didn’t say all that exactly, but we all know he wanted to.) Once the other event was finished up, Freeman had a guy named Mike come out and help us get on our way. Mike and Freeman were awesome in helping us along and we greatly appreciated them. 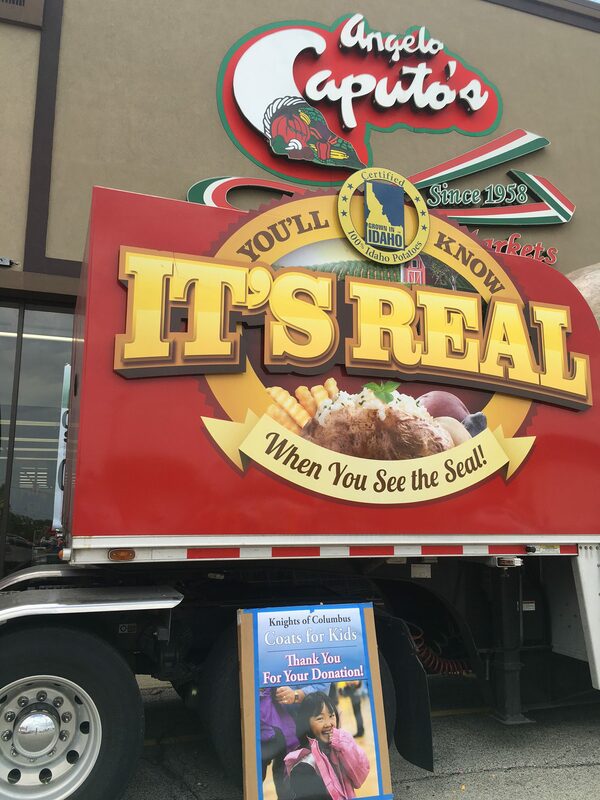 The Truck at Angelo Caputo’s Fresh Market raising money for the Knights of Columbus Coats for Kids drive. Thanks again for reading along as we share with you a small bit of our adventure. 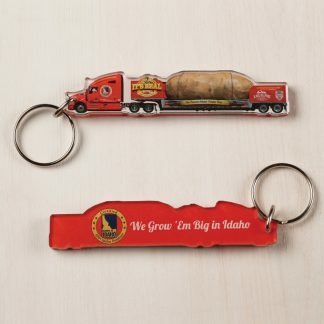 We hope you all get a chance to enjoy your very own Idaho Potato. If you do, please share with us how you cooked it. If you didn’t cook it don’t be shy, I eat them raw too.